Public Relations: Does your Grange measure Return on Investment? In business, the phrase “return on investment” describes the concept of resources yielding a benefit or profits in relation to capital invested. Let’s apply the same concept to Granges and their membership. When your members invest of themselves into the organization (by time, dedication and dues), what do they receive in return? What benefits do your members receive from their volunteer efforts with your Grange? To begin to answer this question, we must first look at the role your Grange plays within its community. 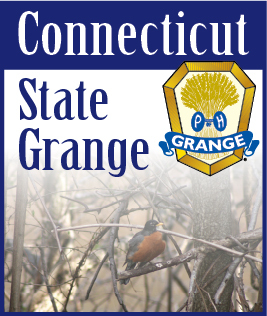 Each Grange plays a unique part of the community they serve. Through its various projects, donations, and activities, Granges leave their marks. For example, there are a number of Granges in Connecticut who host Farmers’ Markets. This type of event is seen as beneficial by fulfilling a need in the community, thus creating value. Other Granges may give scholarships to local high school students, or donate non-perishable items to the neighborhood food bank. These also fulfill a specific need, and thus create value. Each of these methods of engagement create positive outcomes, and thus create value. What other aspects of the Grange do members view as valuable? For some members, the list of value-added benefits contains tangible aspects, such as hotel savings and discounts on prescription medication. To others, the list contains more professional aspects, such as networking and social advocacy. The list may also include personal aspects, such as leadership training, fellowship, and quality of life improvements. The greater the value of your Grange to your members, the more powerful return on investment. One way to measure your Grange’s return on investment is through the results of public relations efforts. Public relations and Grange growth are inextricably connected. Return on PR investments can be easily measured. Membership Leads: Leads can be achieved by measuring engagement through leveraging social media and your Grange website, through press/media reach, and word of mouth. Recruitment and Conversion: How many new members did your Grange Open House garner? Did your recent Grange event generate non-member community interest? Does your Grange routinely contact former members to reintroduce them to the organization? Visibility: Is your Grange in the public eye? Do you frequently hear people asking/talking about your Grange outside of Grange circles?